Regardless if you have dentures or you know someone who does, chances are that you have questions about them. What are they for? Why do people get them? Are they necessary? How do you know if you need them? Before you go through a fitting, take the time to get inform yourself. Dentures are artificially made gums and teeth that dentists use to either replace lost or remove natural teeth. They come into two different forms; full or partial. Full sets replace all of a person’s teeth while partial only replace the top or bottom gum line. Or in some cases, they’ll just replace a few missing teeth. Regardless of the type you require, each and every denture is custom made to fit your mouth and match the teeth you already have. Children and teens are the patients we most often see for sealants due to the likelihood of decay developing in the grooves of the molars. However, adults who are free of decay or fillings are also good candidates for sealants. In general, children should have sealants applied to their permanent molars and premolars as soon as these teeth come in. This way, the sealants are able to protect the teeth through the vulnerable cavity-prone years of ages 6 to 14. In the old days, dentures were mostly made from plastic or porcelain. Today, however, most are made from a material known as hard resin. The materials of the artificial teeth are actually very delicate compared to real teeth, meaning that they can be cracked or chipped without proper care. Not to mention, the resin also wears down much faster than natural teeth, which will require replacement at least every five years. Why Would I Wear Dentures? This is a very common question among dental patients. Not only do they significantly improve a person’s smile, they also support the structure of the mouth intact by supporting the cheeks and lips. Using them also allows you to consume food that requires chewing so you don’t have to worry about changing your diet. Finally, they are a wonderful solution if your teeth are causing you pain or oral health problems. 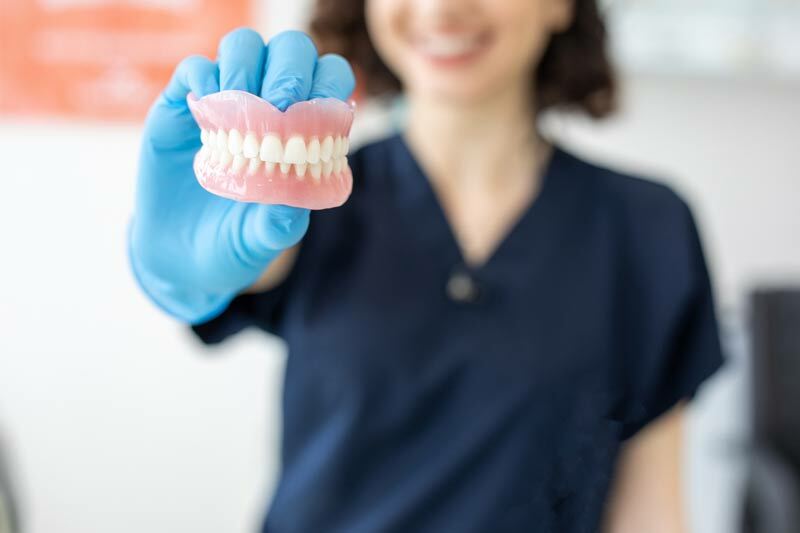 In fact, the whole denture fitting process is all about making sure the bothersome teeth are uprooted and replaced with a resilient and visually appealing alternative. If you’re still uncertain that dentures are right for you, contact your Island Family Dentist and schedule an appointment. They’ll help you decide which path is right for you. Contact us at Island Family Dental by calling our number 360-718-8861 today!